Bulletproof coffee seems to be the new craze. People are blending it each morning at work for breakfast and raving out their creamy, delicious coffee. 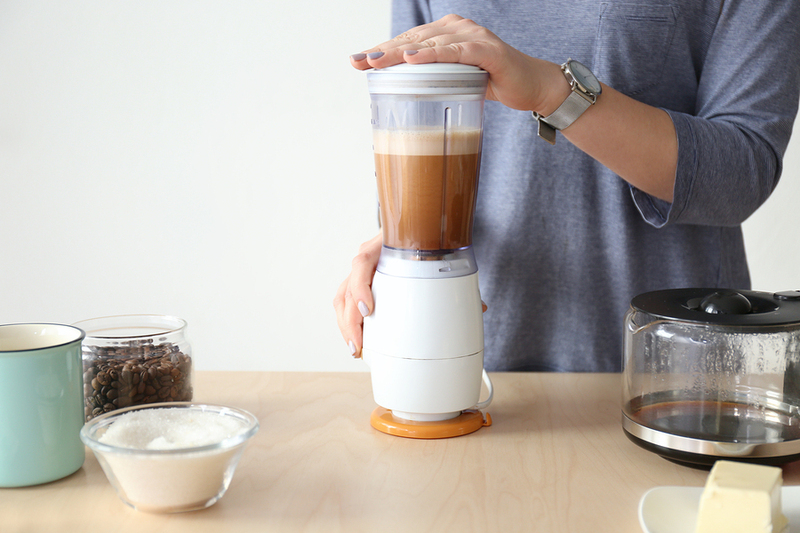 You may be asking, what is so special about bulletproof coffee? Besides its great taste, people love it because they find that it helps increase their energy and start off their day right. Bulletproof coffee contains organic coffee, grass-fed butter, and either coconut oil or MCT (medium chain triglyceride) oil, which makes it a healthier version of coffee. It is also called keto coffee, because it uses fat for fuel, as does the ketogenic diet. Bulletproof coffee is much healthier than regular coffee, in which most people add coffee creamers or milk and sugar to, because you are getting healthy fats and lots of nutrients. Organic Coffee – First, you want to be sure to choose organic coffee. Why? Because coffee is grown in tropical climates where bugs and mold are a problem, and pesticides, herbicides and fungicides are sprayed heavily. You want to go organic to avoid these toxins. Coffee contains antioxidants that fight the damage caused by free radicals, which lowers the risk for different cancers such as prostate, liver and colorectal. Coffee consumption seems to reduce mortality and allow you to live longer. (1) The caffeine in coffee stimulates the central nervous system, giving you a boost of energy. Research concluded that caffeine enhanced long-term memory in humans. (2) Research demonstrates that drinking coffee may be associated with a decreased risk of developing heart failure or having stroke. Studies showed that drinking coffee was associated with decreased risk of developing heart failure by 7% and stroke by 8% with every additional cup of coffee consumed per week compared with non-coffee drinkers. (3) It’s been shown that coffee’s nutrients and caffeine lowers the risk of Alzheimer’s by about 60%. Grasss-Fed Butter – Butter from grass-fed cows is higher in nutrients than butter from grain-fed cows. It contains antioxidants, and is rich in minerals and vitamins A, D, E, K, and B.Grass-fed butter contains five times more CLA (conjugated linoleic acid) than butter from grain-fed cows. CLA helps protect against cancer, helps the body store muscle instead of fat and boosts the immune system. Grass-fed butter is also much higher in omega-3 fatty acids. Coconut Oil – Coconut oil contains medium-chain fatty acids such as caprylic acid, lauric acid and capric acid that provide great source of energy. MCT Oil – MCT (medium chain triglyceride) oil is the fatty acid which is extracted from coconut oil and/or palm oil. It helps improve mental function and assists in weight loss. 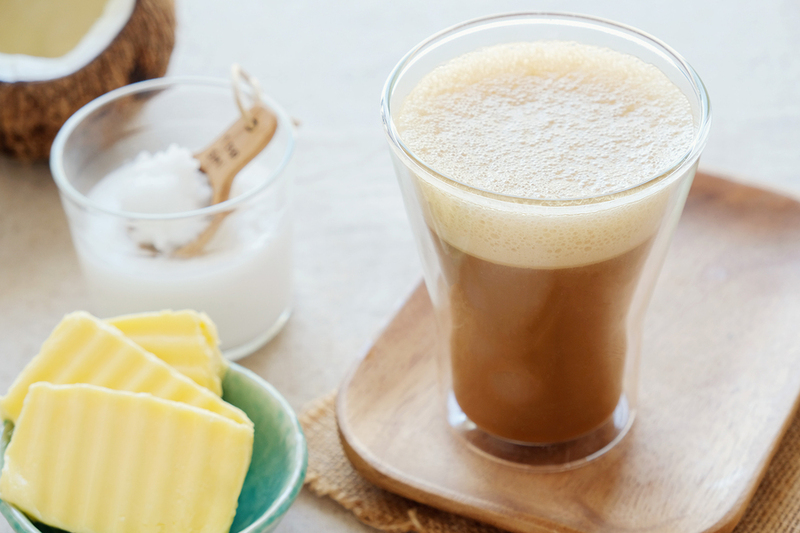 So if you’re looking for a healthy, fulfilling cup of coffee, a great breakfast starter if you’re on the ketogenic diet, then bulletproof coffee may be the perfect solution for you! If you’re drinking bulletproof coffee and eating a healthy diet, but are still lacking in energy and mental focus, it’s possible your hormones could be the culprit. Take our symptom checker quiz today to find out if you could be suffering from symptoms of hormone decline. If you have a creative, healthy bulletproof coffee recipe you’d like to share, please post it below! We’d love to hear your ideas! what are the best brands to buy for coffee, butter and coconut oil? For me the benefits of bulletproof coffee or butter coffee increases energy, improves brain function, stabilizes blood sugar and get some healthy fats in my diet.